Our warm days are nearly over here in Australia and the chill is moving into our neighbourhood, to which I don't really mind at all. I love Autumn and I the fresh air, I love the change and I feel quite at peace. I take many of my images in the early part of the day when the light is just perfect. I photographed these images of my friend Rhylle and her granddaughter at Mackerel Beach over the Summer holidays one early morning before most of my family were awake. "A flower cannot blossom without sunshine" by G.P.Upton, to me is the wonderful love that that we get from our Grandmothers. Grandmothers just have a special way of teaching you all about life. When I think about my Grandmother (who I called Nana) I always remember the beautiful way she quietly & gently made her point clear to everyone and the way she stepped back when my Mother was telling me something with a look on her face saying, I'm your Grandmother, not your Mother...... I'm sure you all know that look. I was lucky, I spent a lot of time with Nana sitting in her room with her, I spent hours looking in her cupboards and playing with her clothes and her lovely old things. I loved the way she displayed all her fineries, I'm sure these were my first styling lessons. I loved the way she packed her shoes in the original boxes, the way she filled her handbags with fine tissue paper to keep the shape perfect and the beautiful scents she used. Each shelf was beautifully displayed with boxes, jewels, gloves and little treasures. I can still see it now. Everything was polished and perfect and in its place and a visit to her room was my escape from my noisy brothers and sisters as both my grandparents lived downstairs in my parent's home. She showed me so many wonderful things and by just watching the way she did things, I grew. 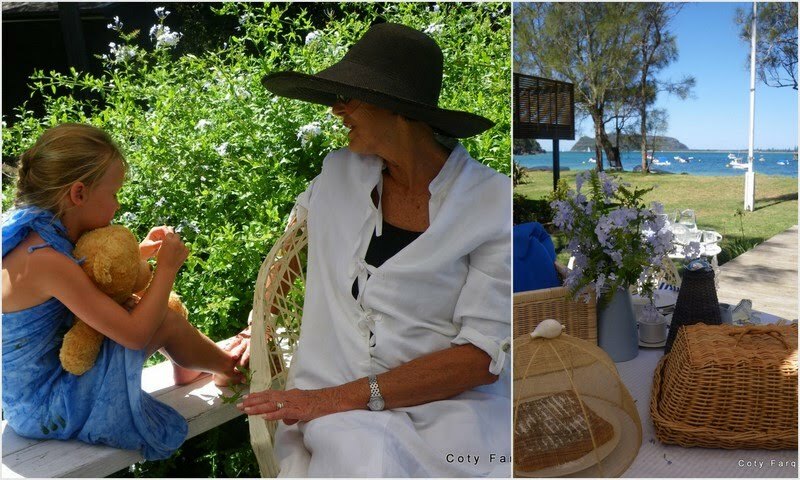 Observing Rhylle and her granddaughter at the beach was very similar and I hope these images bring back some memories for you today of spending time with your Grandmother. Click here to see more of Rhylle's beautiful home. 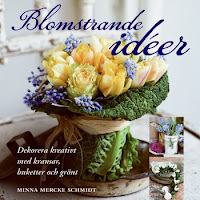 My dear friend Minna's Mercke Schmidt from Blomsterverkstad blog, book is finally available and she is giving away some copies on her blog this week. Oh also, My mother was absolutely thrilled to receive your comments and wishes for her 80th birthday and thank you for all the wonderful comments from my last post, I apologise for not getting back to anyone this week, Andrew is over in Burma on a quick business trip and I have been busy helping him organise things for hjim. I wish I was with him, imagine all the interesting things that could be sourced there. 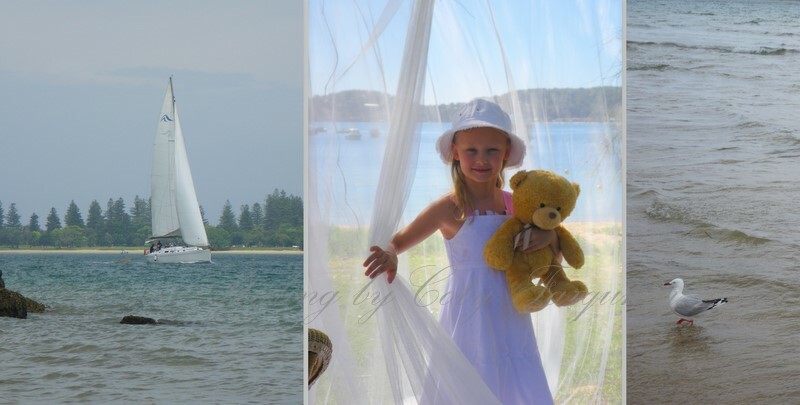 I love these photos you took on your vacation.. they are amongst my favourites of yours.. especially the sailboat!!! Coty, you certainly have a gift...what a lovely memory they will have forever! Oh what lovely photos of a beautiful day shared with Grandma. How I miss mine. Now I will spend the day thinking of the woman I was named after. Thanks for posting and sparking a memory. have a wonderful rest of your day Coty. Your pictures are absolutely gorgeous and lovely. Lovely images, as always. If your grandmother's example did indeed plant the seeds of what blossomed into your styling genius, your readers/friends owe her a tremendous debt of gratitude! Beautiful post ... in every way. Again...you bring such beauty into our lives. I hope I can create wonderful memories in my role as Grandmother. So very beautiful and your talent amazes me. Such a lovely day to photograph. We are on the outside edge of winter here in Georgia/USA, and so very ready for Spring to come in full bloom and a bit of warmth.